I'm sure they're better ones out there, but not for the money. Mine stayed accurate for 9 months! However, I bought a second one after giving my first one away and it came needing serious calibration. Make sure to buy calibration fluid. Don't buy it. I checked this pen after 1 week and recalibrated in 7.0 as well as tested in 4.0 ... It checked out. But the when I tested plain tap water and compared the results to my fail safe drops (never been wrong) it was a whole 3 ph off! If you are going to only spend $20 might as well save a few cents and stick with the drops. Pen wise just spend the money and get a legit one. PENS SHOULD NOT HAVE TO BE RECALIBRATED BEFORE EACH USE! Now I've got to fix heavy nutrient issues in all of my "house plants". Received this probe and was hoping it wasn't the same one that a company that I was a bench chemist for bought back in 1996. But it was. It is a POS. The reading jumps around indiscriminately, it will even give reading that make no sense like 20 or 30. Sometimes the decimal is there and other times not (like 50 or 5.0). I would say I got a bad probe, but as far as I can remember it was the same as we had received back in our lab 18 years ago. Feel free to press you luck! Not sure why, but the unit came without any liquid inside (I thought you had to use it to store the probe) but instead it was covered in salt, as if it was already used. The meter appears to be accurate as long as you calibrate it before every use. However beware of the 30 day warranty...My tester has already quit working and I have only had it for 4 months ! Way better than going blind trying read those color charts. I just ordered this product and then found out I need calibration solution!!!!! Don't forget so you don't have to pay for shipping on a $0.99 product! 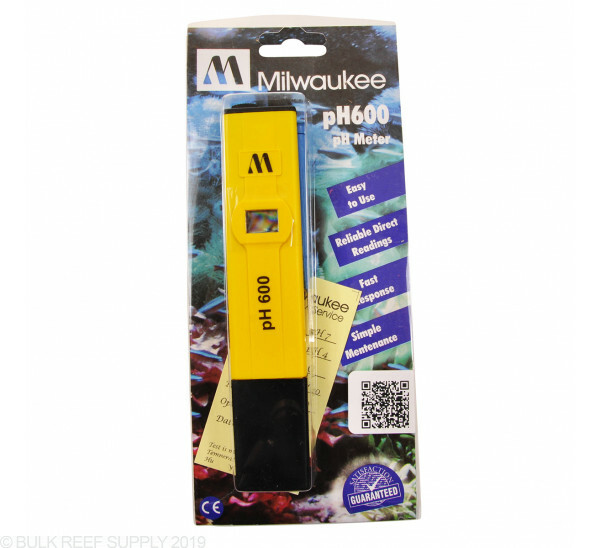 Very nice handheld pH meter, compact yet easily read LCD display. Seems to remain quite accurate for me even though I store it dry, with cap on. Used for 4-5 months without calibration, tested it with ph 7 & 10 reference solutions, was only off by .1 with the ph 10 solution. exactly what I've been looking for. easy to calibrate, easy to use, and the price was right for my budget. This pH pen is great for the price, but, it loses its calibration, by as much as 0.8, in just a single day of not using it. 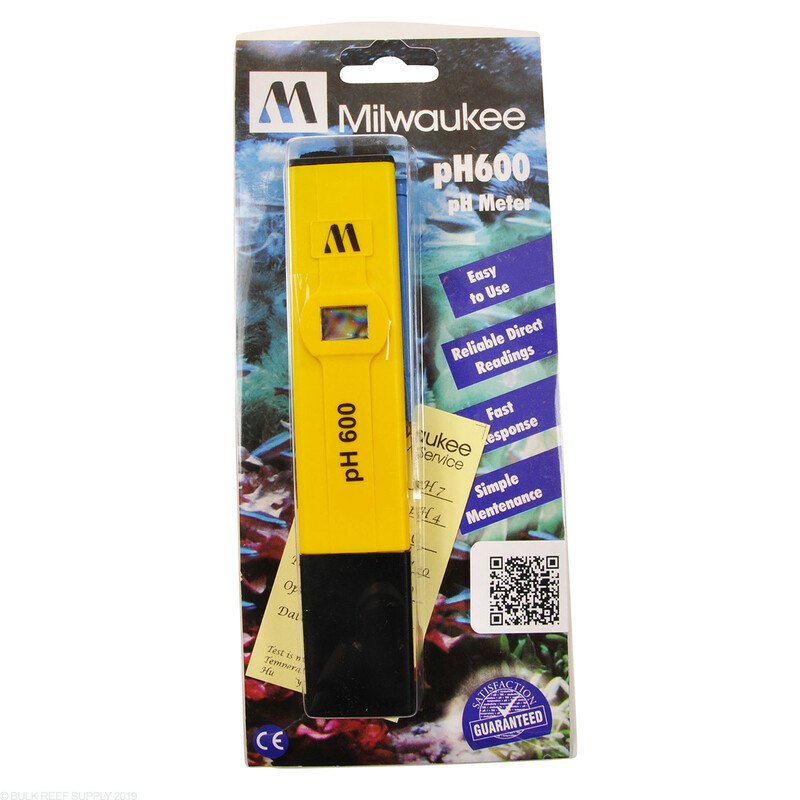 I store the probe wet as per the instructions, and when going to check the pH from one day to the next, the unit has lost its calibration. It is almost an entire pH unit off when comparing it to my tanks' pH monitor/controllers (both with new, calibrated probes from the same order as this item was from). Every calibration solution costs you a buck, so, with the need for such frequent calibration, it costs more to use this than a test kit, even though initially, the cost would have been the same as that of a good quality test kit. The calibration screw is a pain to get to as well, as it is on the back of the unit while you are trying to read the front of the unit to set it, and, the screw is not centered in the middle of the recessed hole, so you are forced to put the screwdriver in at an angle to get to it.